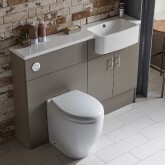 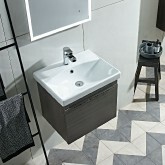 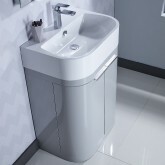 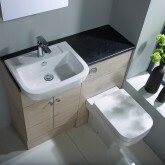 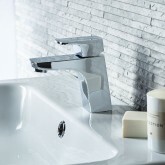 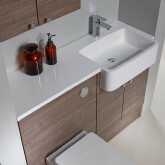 R2 offers a wide selection of sanitaryware and bathroom suites with something to suit a wide range of styles. 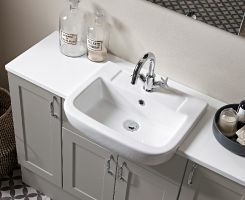 Maximise available space and create a unified look with our fitted furniture collections. 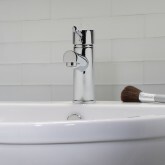 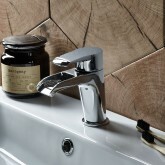 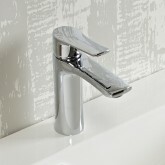 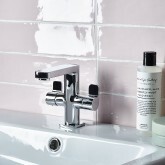 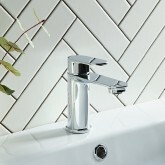 We have created a stylish yet affordable tap collection, offering a complete solution for every bathroom. 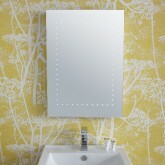 Our affordable mirror collection includes a host of clever design features. 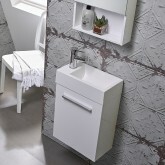 Bringing your bathroom to life. 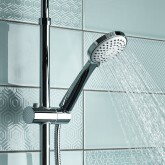 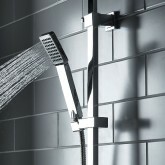 A contemporary collection of showers to suit a wide range of bathroom styles. 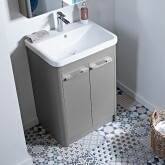 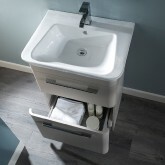 Our modular furniture collections offer a versatile and stylish bathroom solution. 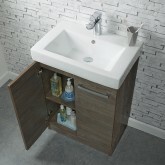 Wooden and aluminium bathroom cabinets, styled to coordinate with our furniture. 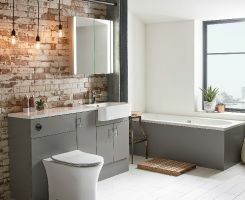 At R2 we like to think we know a thing or two about bathrooms - we’ve been designing them for over 35 years. 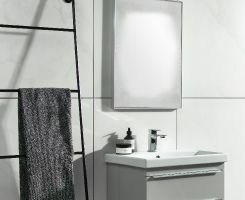 We’re a family owned bathroom business based appropriately in Bath, UK with an in-house team of experienced product designers and an excellent reputation for customer service. 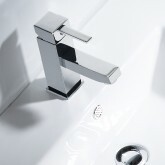 We know value is important to you but that shouldn’t be at the expense of good design. 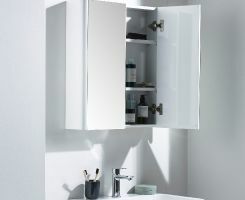 That’s why our furniture features fully coordinated pieces, made from quality materials, with soft-close doors and drawers. 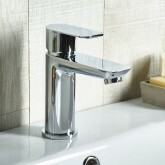 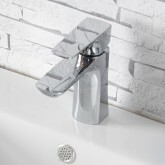 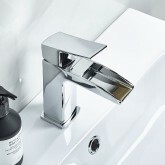 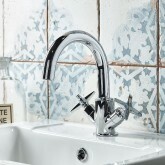 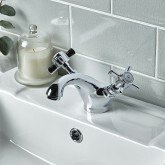 Our taps are of the highest quality brass and are beautifully chrome plated. 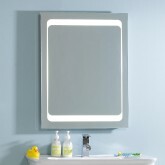 Our LED and backlit mirrors are IP44 rated for safe bathroom use. 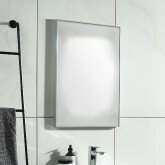 So whether you’re looking for a contemporary wall mounted bathroom or fully integrated solution, look no further than R2. 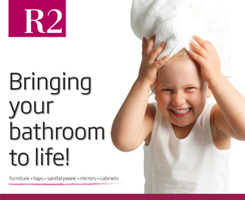 More than 40 years on, the Roper Rhodes Group, comprising R2 Bathrooms, remains a family operated business with a strong commitment to our staff and our local community. 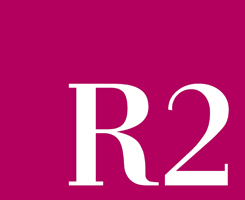 We contribute 3% of pre-tax profits each year to locally based charities and support local community organisations. 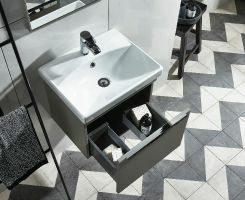 We will not trade with any suppliers who do not treat their employees in a reasonable manner and pay acceptable wages. 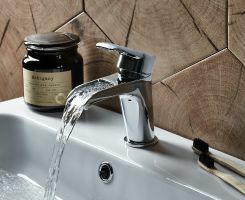 We want to create a business we can be truly proud of and strive to make sure people are given the opportunity develop themselves further both in and outside work. 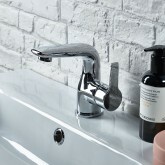 The happiness of the people who work for Roper Rhodes is important to us and our staff are shareholders in the company.